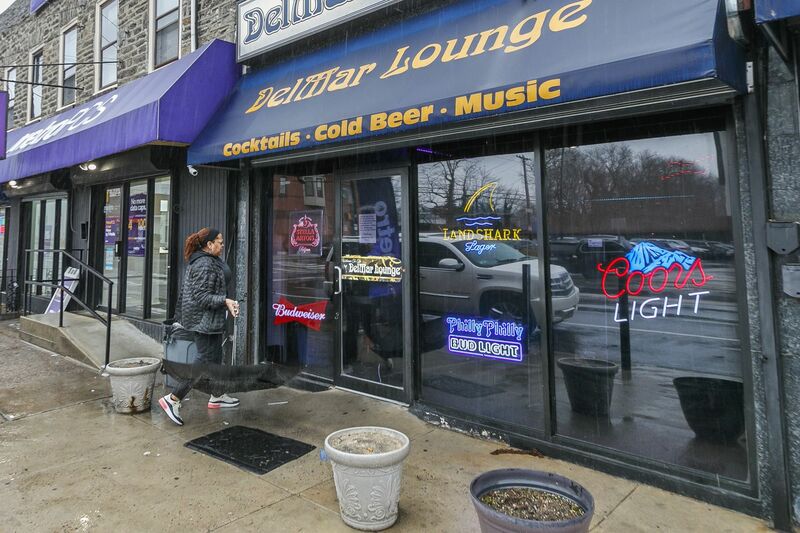 A longtime bar employee was shot and killed during a robbery at Germantown's DelMar Lounge at closing time on Thursday, March 21, 2019. A 25-year-old man has been arrested and charged with murder in the fatal shooting of a worker at a Germantown bar during a robbery last week, police said Monday. Robert Lumpsin of the 2200 block of East Cumberland Street in Kensington also was charged with robbery and possession of a firearm by a former convict in the Thursday shooting at the DelMar Lounge that left Jeffrey Johnson, 58, dead. Police have said the suspect had been a patron at the bar on the 300 block of West Chelten Avenue and waited until all the other customers left before pulling out a gun and announcing a robbery. Homicide Capt. Jason Smith said surveillance video showed the gunman fired one shot at Johnson’s chest when the bar employee briefly hesitated in responding to the robber’s commands. The suspect fled with $200 taken from another employee. Lumpsin, who was taken into custody Friday, has been jailed awaiting a preliminary hearing set for April 10.